The crawl space under your home or property is likely somewhere you don’t give much of a thought to, especially when it comes to insulation. But crawl space insulation is more important than you might think. Having professionally installed crawl space insulation can go a long way to helping reduce the energy costs of your home or commercial property and improves the efficiency of your heating and cooling system. Valley Insulation, LLC has over four decades of experience installing home insulation and we know just how much proper crawl space insulation can benefit you. If you know you have good exterior wall and attic insulation but you still struggle to get your home to the right temperature, then your crawl space might be to blame. If your home doesn’t have a basement, that doesn’t mean it’s necessarily sitting directly on the ground. In order for air conditioning and plumbing system to work, many homes without a full basement are elevated by a crawl space. The name is simply from the fact that this space is small enough that you need to crawl inside it to fit. 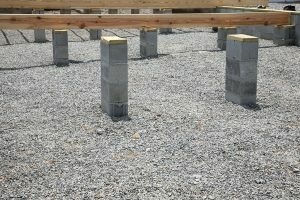 Because of its proximity to the ground, an uninsulated crawl space offers a lot of opportunities for your house to lose significant cooling in the summer and heating in the winter. Not only that, you’re likely to run the risk of damp and mold seeping into the foundation of your home, not to mention pest infestations from untreated cracks and gaps. Crawl space insulation by a professional insulation installer can lower your energy bill and reduce the risk of damage to your home. The professional teams at Valley Insulation, LLC are able to assess and install the right insulation for your crawl space. We offer cellulose insulation and fiberglass insulation for ventilated and unventilated crawl spaces, whatever the size of your property. If you’re looking for an insulation company dedicated to professional customer service and high quality, reliable and consistent work, contact Valley Insulation, LLC today. We have over 40 years of experience serving clients in Cincinnati, Lawrenceburg, Harrison, Ross, Cleves, Hebron, Maderia, Mariemont, Tylerville, Oxford and throughout Ohio, Indiana, and Kentucky. We know from experience that every customer is unique, and we work with you to find the best, most effective solution for you. Whether you’re looking for crawl space insulation for your home, wall insulation for your residential property, or more specialized services like soundproof insulation, get in touch to get started.